Oracle Forms is one of the most used enterprise software development tools of the past 40 years. Oracle has developed new technologies such as JET, ADF, APEX & Cloud Services that compete with Forms. 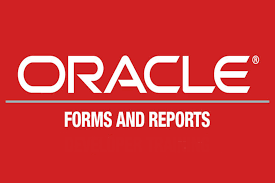 Yet there is still huge interest in Oracle Forms, many organizations around the globe still run it and the product continues to evolve and improve. If your organization plans on running Oracle Forms for the foreseeable future, it is crucial to upgrade to version 12c, the latest one. Why Upgrade? Because of new features offered in Oracle Forms 12c, because Oracle no longer offers support of previous versions of Oracle Forms and because of security, compatibility and performance risks inherent in older versions. If your strategy is to keep Forms in place for protecting your investments and you are convinced that Forms will continue to support your business, Oracle Forms 12c brings some features to enable the digital transformation. Oracle no longer offers support of previous versions of Forms -12c 12.2.x (part of Fusion Middleware 12c released in October 2015), the latest version, will receive premier support until October 2020 and Extended support until October 2023 while all support of prevision versions of Forms has ended. Older version of software or not meant to be used on new platforms - Windows, HP, Solaris etc… If your organization has upgraded their operating systems, it will be necessary to upgrade Forms as well since old software will not run properly new operating systems. 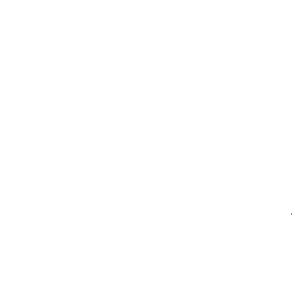 If you have updated Oracle database to version 12 you will only be able to use Oracle Forms 12 with it. Upgrading versions of the same software may seem simple. In actuality most organization encounter multiple issues and complications when attempting to perform the update themselves. RENAPS has more than 15+ years of experience with Oracle Forms migration projects. Our proven tools and methodology saves you time and money and eliminates the risk of human error. Our flagship Migration tool – ORMIT™-Forms will lighten your application by doing a deep dive code analysis and cleanup - Our certified staff will guarantee successful delivery of the project. The typical Forms upgrade project to version 12c counts tens of thousands of automated changes for deprecated properties, built-ins, and various other changes that would compile in version 12c but be ignored by Forms, which introduces the possibility of functional differences compared to your current version. Learn more about ORMIT™-Forms and how to secure Oracle Forms with our SSO product RENAPS Access Manager. If you are convinced about migrating away from Forms, see how RENAPS can help with a successful migration to Oracle Jet, Apex and others.